The Parent Resource Center is here to help you parent young or not-so-young children, recover from a divorce or separation, or cope with day to day challenges family life may bring. Central Dakota Parent Resource Center provides educational opportunities and resources to the citizens of Bottineau, Burke, McHenry, Mountrail, Pierce, Renville and Ward Counties. Why Do I Need to Talk to My Children About Sexual Abuse? Founded by Ariel Meadow Stallings, the author who brought you Offbeat Bride: Creative Alternatives for Independent Brides and offbeatbride.com, Offbeat Families seeks to celebrate and empower families as they navigate the realities of parenting. Formerly known as Offbeat Mama, we like supporting and inspiring parents and caregivers who are moving beyond mainstream visions of parenting. We welcome anyone who’s interested in families, whether you’re pre-parental, in the process of becoming a parent, or choosing to live childfree. We believe that while children change your life forever, being around children doesn’t necessitate abandoning your identity. Offbeat Families continues the driving theme of Offbeat Bride: encouraging women to integrate their identities into situations that tell them they should drop it all and follow the template. We believe each parent has the right to make their own educated decisions about what works for them and their family. Our only shoulds are loving your children and caring for them with educated intent. Offbeat Families doesn’t subscribe to any particular parenting philosophy or dogma, as we believe that every family and situation is unique, and what works for one Offbeat Families in one situation may not work for another. While we address parenting hot-topics, we do so in the context of lighthearted and proactive inspiration — never condemnation. As part of the Offbeat Empire family of sites, we’re committed to furthering the company’s cause of constructive, civil online communities and conversation. If you’d like to know more about us, you can read about our values below, meet thestaff, check out FAQ, or get in touch. We are a Bermuda registered charity (#922) formed to create greater awareness of the devastation that child sexual abuse can cause in the life of an innocent child, their affected family and a community. Through the “Darkness to Light Stewards of Children’ Training Program, we provide training to individuals and organizations entrusted with children to Prevent, Recognize, and React Responsibly to child sexual abuse. If sexual abuse does occur, we also provide access to resources to promote the healing process. 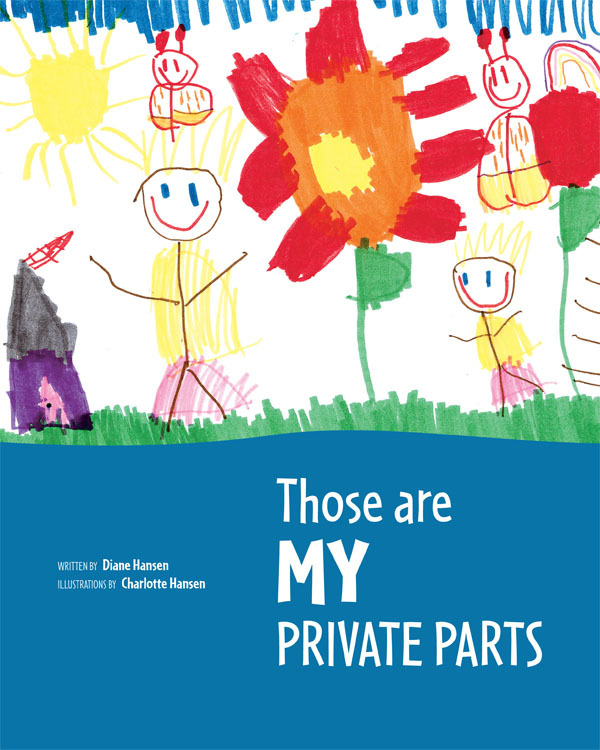 This book helps children open healthy communication about what is okay and what is not okay when it comes to touching private parts of the body. It uses child-friendly rhyming and colorful illustrations by a four-year-old to incorporate messages about sexual abuse prevention. Statistics and information on childhood sexual abuse are included for parents and educators.